The purpose of the Society for Cultural Astronomy in the American Southwest (SCAAS) is to advance the study and practice of cultural astronomy in the American Southwest. The Society is committed to recognizing significant contributions to knowledge and the importance of research, professional standards and excellence in the study of cultural astronomy, effective dissemination and presentation of cultural astronomy knowledge, and innovation and originality of approach. 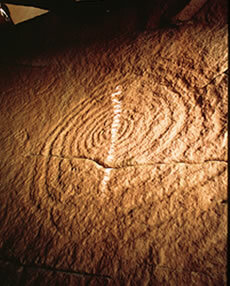 The American Southwest was one of the early and fruitful areas of cultural astronomy study, and remains so to this day. However, the opportunity for professional and avocational cultural astronomers to share their research has been limited. The first biennial Conference on Archaeoastronomy in the American Southwest was held from June 11-13, 2009 to mark the International Year of Astronomy 2009 and to provide a forum to promote research and a better understanding of the cultural significance of astronomical knowledge among American Southwest cultures, past and present. The theme of the conference, held in Camp Verde, Arizona, was "Creating Sustainability in American Southwest Archaeoastronomy Research." 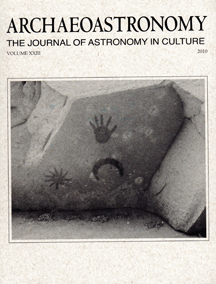 The proceedings from the 2009 Conference have been published as Volume 23 of the Journal of Astronomy in Culture by the University of Texas Press. This volume is now out of print. Please search your favorite on-line used book retailer for available copies. 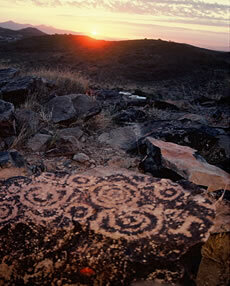 The success of this conference was followed by the Archaeoastronomy in the Field Workshop, held at the Pueblo Grande Museum and Archaeological Park in Phoenix Arizona on March 11-12, 2010. The workshop presented an intense and hands-on series of presentations and discussions to further the standardization of archaeoastronomy documentation and recording. 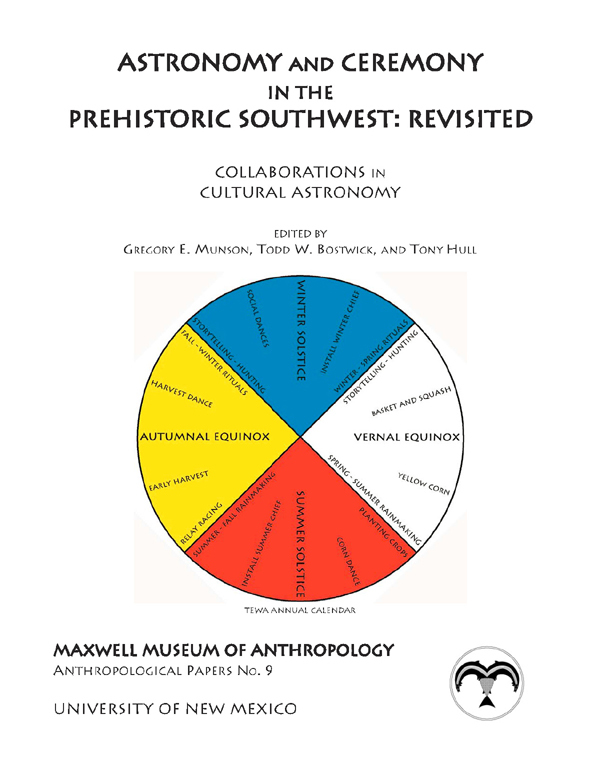 The next event held was the 2011 Conference on Archaeoastronomy of the American Southwest, at the University of New Mexico, site of the historic 1983 conference “Astronomy and Ceremony in the Prehistoric Southwest” [Papers of the Maxwell Museum of Anthropology #2]. An outreach lecture was given on the evening of June 16 by Dr .E.C. Krupp, Director of the Griffith Observatory and acclaimed author of several books on archaeoastronomy. The proceedings of this conference have been published by the University of New Mexico Press.